Looking for a Casper or Simba deal? That was yesterday, and those deals have EXPIRED. But don't have sleepless nights over that, because there’s still 20% off Nectar mattresses. These are closer to approach of a Casper than a Simba, with memory foam and layers of various other types of foam, rather than a mix of foam and pocket springs. As with Casper and Simba, you'll find Nectar in our list of best mattresses. It's a bit fomulaic this mattress-selling business, isn't it? The mattresses are sold by Nectar itself via Amazon rather than by Amazon itself. 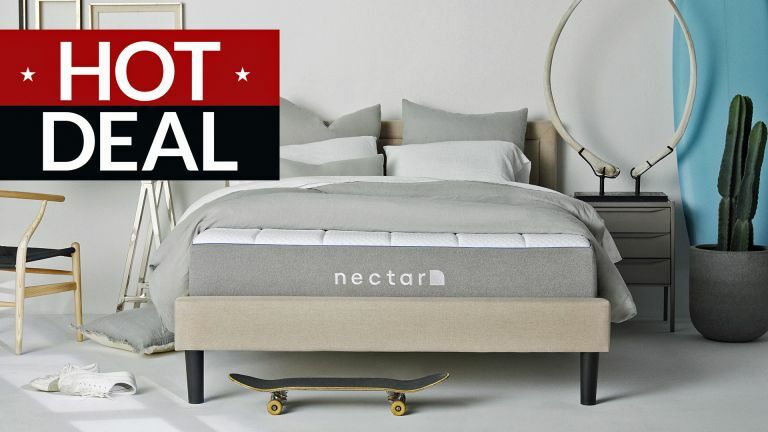 You can also shop for Nectar mattresses at Nectar's own shop but confusingly this deal is only available at Amazon, though you can get a flat £100 any order at Nectar. Incidentally, if you're after more of a Simba-type hybrid mattress, it also just so happens you can get a deal today on the multi-award winning Eve Hybrid which blends pocket springs and memory foam in a broadly similar way to Simba. It's good to be king. But it's surely even better to be Super King, right? If you're a little shorter of space, or you and your partner are very thin, or you are single but like lots of room, there's also a standard double on offer. Nectar does do a single mattress too but that's not in this Amazon sale. As noted above, these mattresses are all coming direct from Nectar but are sold via Amazon. It's the same situation as with the 15%-off, Eve Hybrid mattress deal that's also running today.